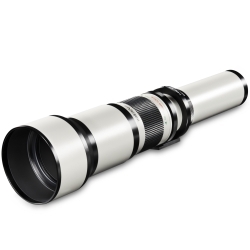 tip: doubling of the focal distance with optional 2x Converter T2 (1300-2600mm)! 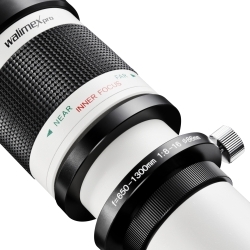 The walimex pro Telezoom Lens has an unusually long focal distance range of 650-1300mm at a speed of 1:8.0-16 (depending on focal distance). 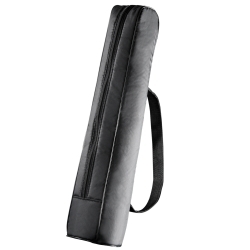 The sturdy metal casing and the high-quality coated glass lenses ensure a good image quality. The internal focusing (i.e. 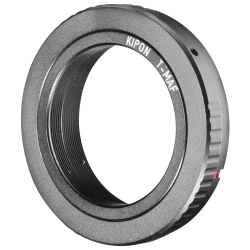 the front lens does not turn while focusing) enables the unproblematic use of polarising and graduated filters. 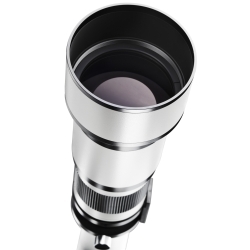 With the help of the sturdy tripod mount ring the lens can be fastened to a tripod with an optimised balance point (because of the long focal distance we recommend the use of a tripod in order to achieve vibration-free exposure). 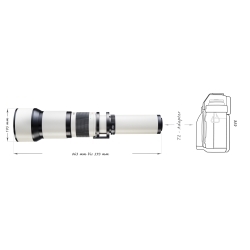 With a comparatively short closest focusing distance of only 5 metres, the lens enables a sensational magnification at 1300mm. 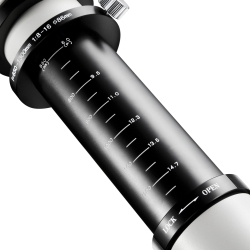 Focusing takes place manually. The lens can be used with aperture priority and manual exposure setting. 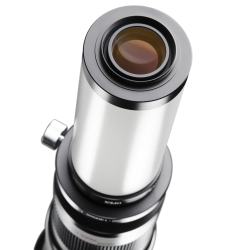 Thanks to the easy handling, the lens is also especially suitable for beginners.